Protected for decades by a well known non-profit, this idyllic Hill Country Ranch is being offered for the first time in parcels. The Ranch Headquarters sits high atop a Promontory with incredible views to the North towards Austin. Building sights from the panoramic vistas of the surrounding Hill Country seem limitless from the high elevation Mesa. Since the mid Twentieth Century, this ranch has been preserved in its natural state evidenced by the land stewardship of the previous owners. The Headquarters Pasture of Rio Blanco Ranch offers a varied topography with nice, serviceable improvements. 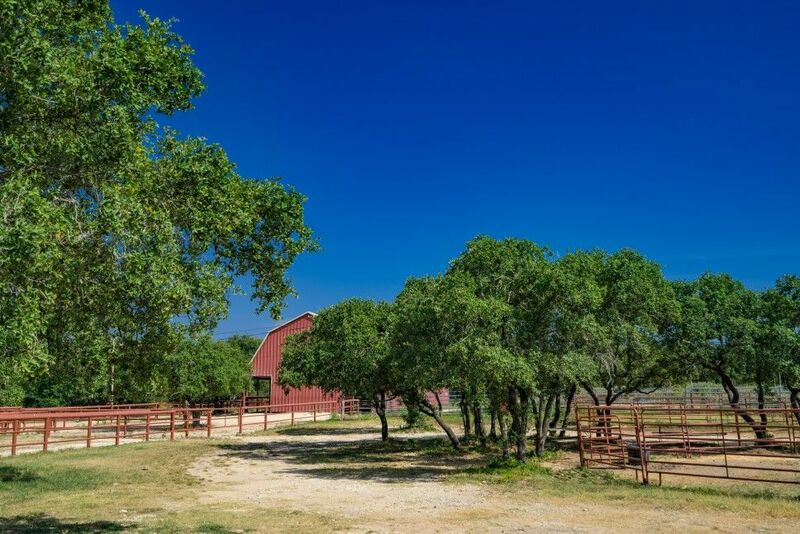 Rio Blanco Ranch is located 18 miles west of San Marcos, providing easy access from both IH 35 and US Highway 281. The main entrance to the ranch on Ranch Road 32 is conveniently located under one hour from either Austin of San Antonio. The upland portion of the tract is predominantly Ash Juniper with scattered Live Oak, Spanish Oak, Elm and Mesquite. Some areas around the improvements have had selected brush clearing over the years thus improving the habitat. There has been very little hunting on the ranch in the past 63 years. Whitetail Deer, Feral Hog and a variety of Varmints are present on the ranch. There is a vast array of songbirds, hoot owls, screech owls, chaparrals, raptors and Rio Grande Wild Turkey. A newly constructed private, paved road from Ranch Road 32 to the entrance of the tract provides outstanding all weather access. There are multiple water wells throughout the property. The Main Headquarters Compound has a fully enclosed workshop with multiple bays built on a concrete foundation. In addition, a three sided equipment/storage barn is adjacent to the workshop. Two Houses at the Headquarters, one is currently occupied by the Ranch Foreman. Equestrian Facilities include a horse barn with pipe pens, hay barn and covered riding arena. An excellent all weather road system throughout the Headquarters Pasture offer year round access to all areas of the tract. Electricity can be found throughout the tract.